Celebrating their 30th anniversary in 2016, The Necks offer a phenomenal musical experience, unlike any piano trio you may have heard. Masters of their own musical language of long-form improvisation, each night they step onto the stage with no pre-conceived ideas of what they will play – they and the audience will go on a sonic journey that is created in the moment and in that room. Over 30 years they have honed an assured process of building around repeated motifs through subtle shifts and layering to produce an extraordinarily dense and hypnotic effect, which builds in a mesmerising, epic fashion. The Necks may be a trio but they conjure a sound of orchestral expanse. Since their inception, The Necks have produced 18 albums, their most recent,Vertigo, in 2015. They continue to tour internationally and have collaborated on special projects with the likes of Brian Eno, Swans, Evan Parker, Karl Hyde, Leo Abrahams, Ilan Volkov and others. 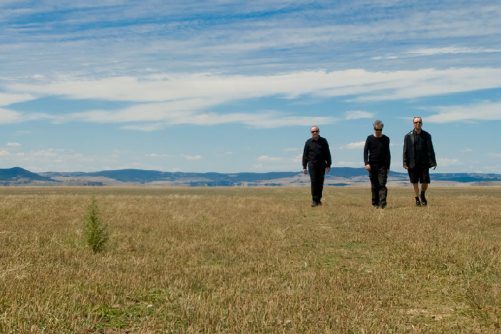 The Necks 30th anniversary tour is assisted by the Australian Government through the Australia Council, its arts funding and advisory body. Presented by Band on the Wall, Fat Out and Cuspeditions.